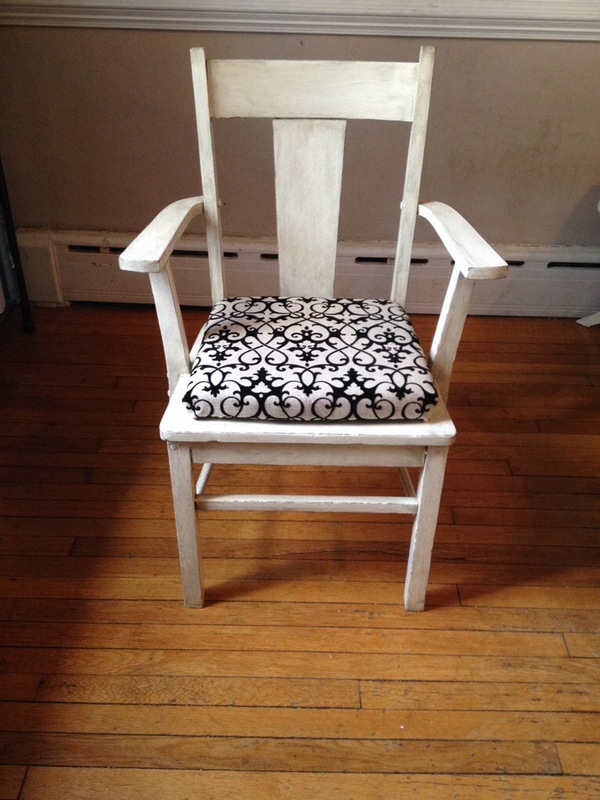 This chair was a freebie from a friend who was getting ready to move. 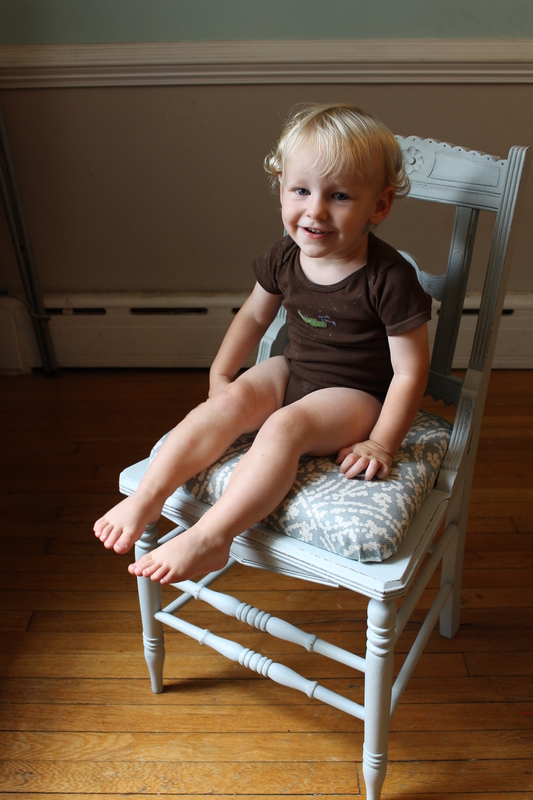 It is a strong, heavy chair that makes me think of a throne. It just needs to find it’s king, or queen. 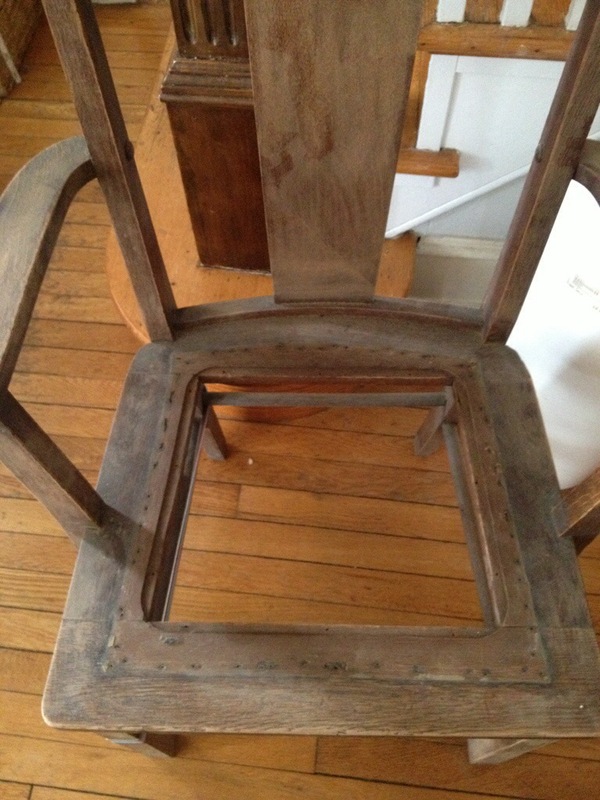 I started by tearing out the old leather seat and making a pattern to cut a piece of wood for a new seat base. 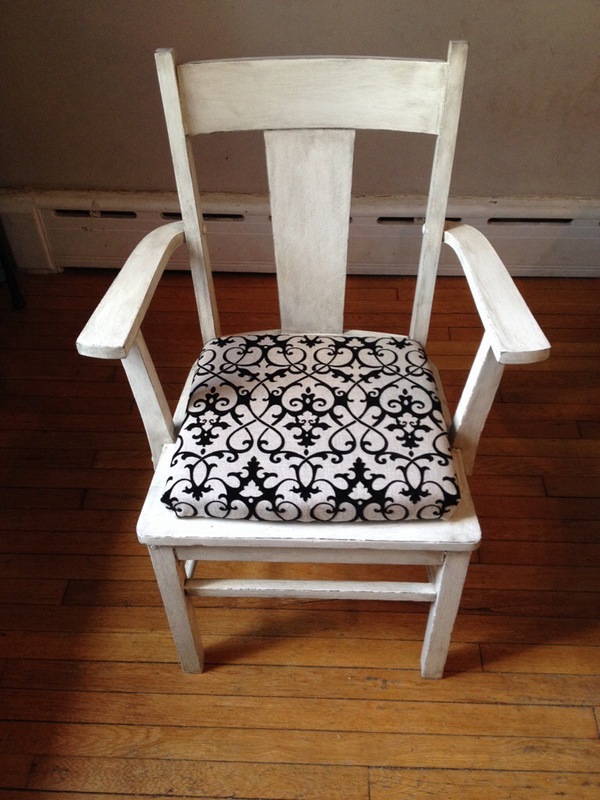 I sanded the chair, painted it, put on an antique glaze and made a new seat cushion. 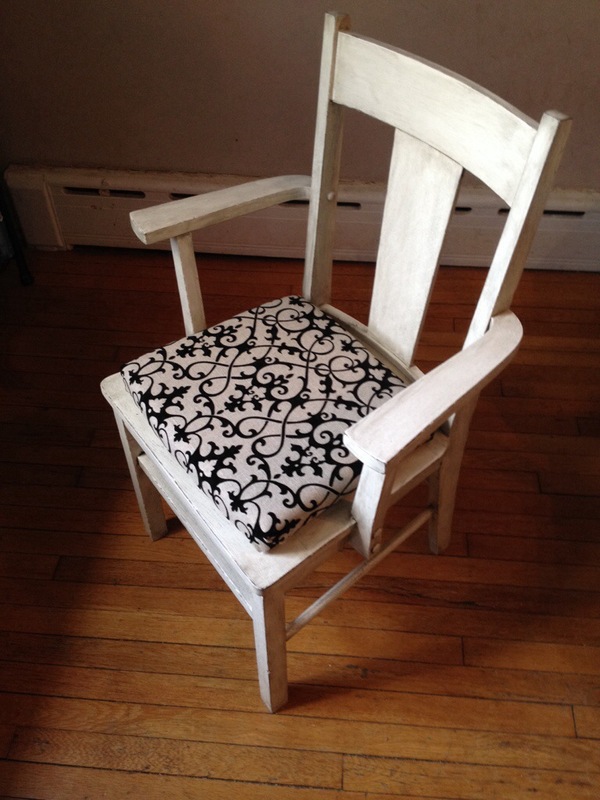 This chair is now available at Orange in Carytown. Go get it! 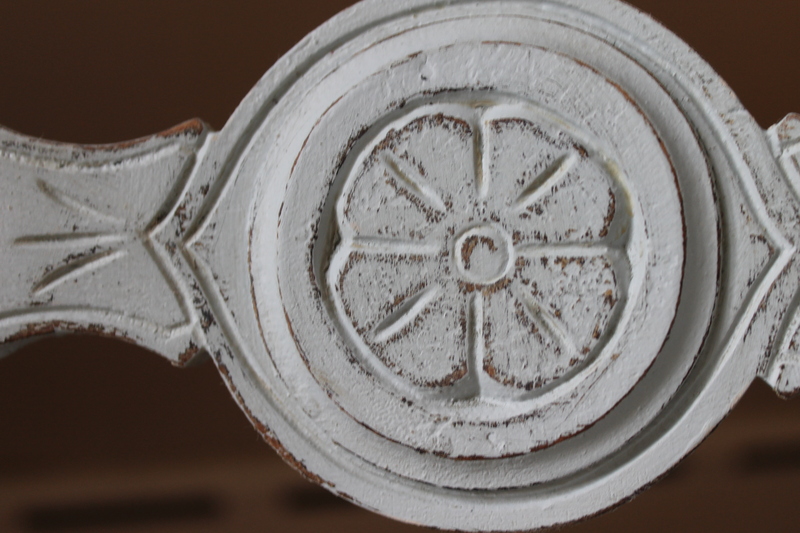 Have you ever been to the Overbrook estate sale? If you haven’t you really should check it out. It’s held once a month in a warehouse on Overbrook Rd., kind of back behind the Diamond. They have a ton of stuff and the place seams to go on forever. I always seem to find something I want. 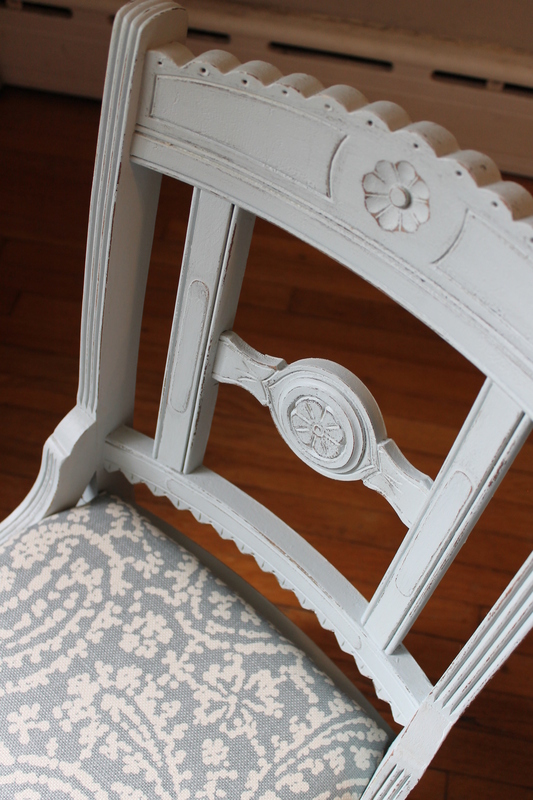 The last time I stopped by I fell in love with these chairs. They were only $10 each! 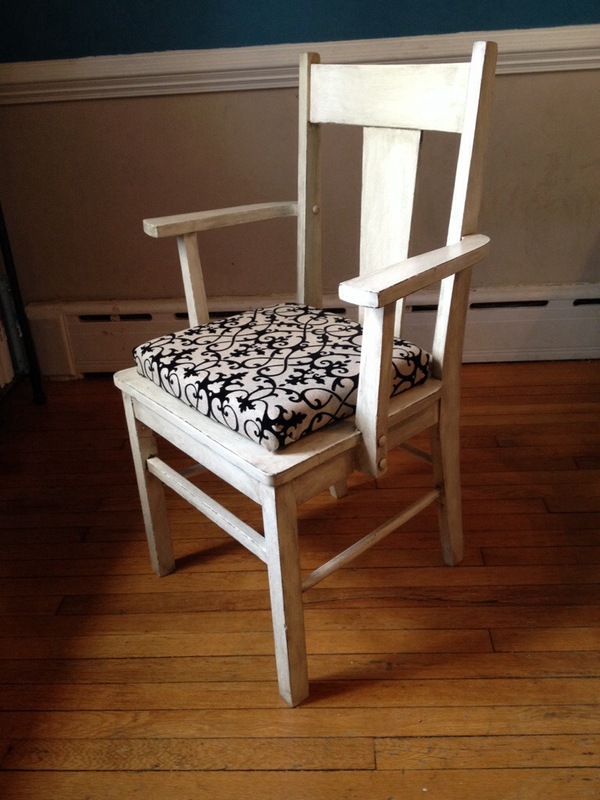 I know most people would look at them and be like “ya, there’s a reason – there is no seat!” But I can fix that. So I picked up two of them and went to check out (bring cash or check, they don’t take plastic) and you know what the really nice Overbrook Estates lady did for me? She threw in the third chair for free! I didn’t even ask. I already thought I was getting a deal but the third chair seriously made my day! So the first thing I had to do was tear out the old seat. Lots of hay, tacks, old leather and dust! I actually wore a mask it was so nasty! 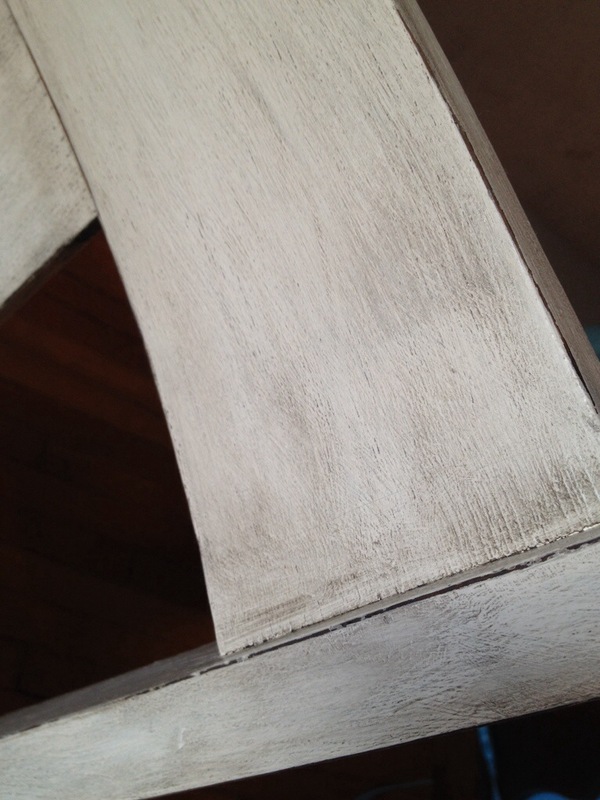 Then I sanded, primed and painted. 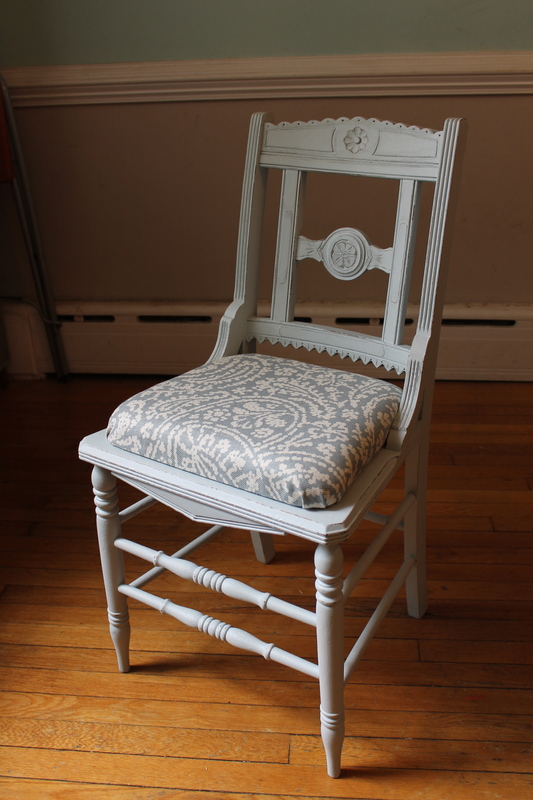 I distressed the chair to bring out all the detail and then covered it with a coat of furniture wax. 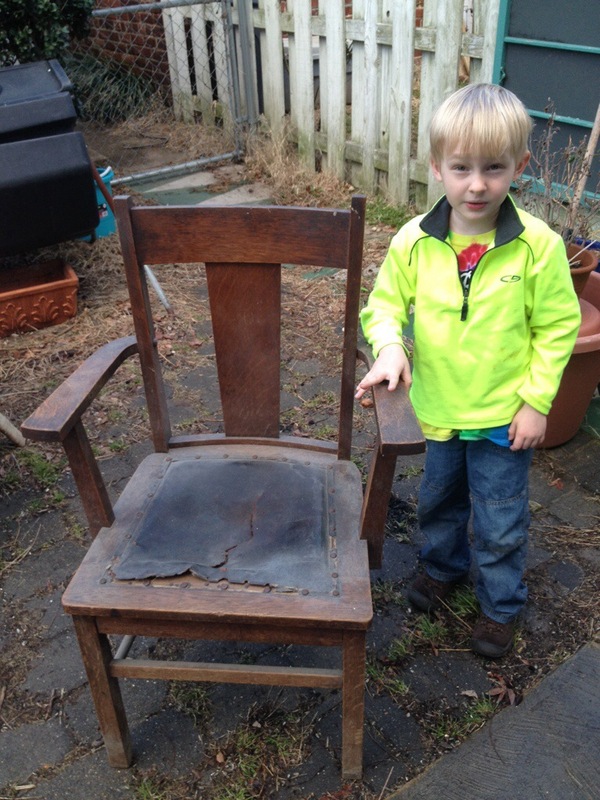 Next I made a little template for the size of my seat and had my dad cut out a piece of wood for me. Then I attached some nice thick foam and covered it with fabric. You can attach the new seat from the bottom with “L” brackets. 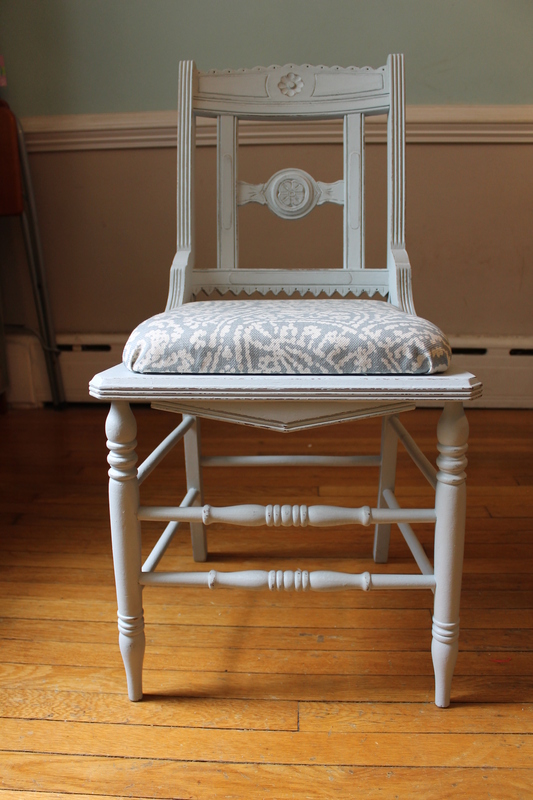 When I was all finished I brought the chair upstairs to take pictures of it before I took it to the antiques mall and my mom, who was over watching my kids, saw it and decided she had to have it. 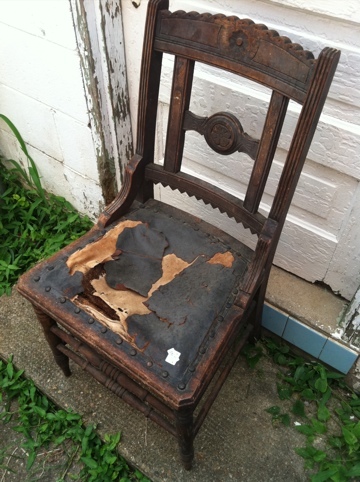 So this chair is now living at my parents house. 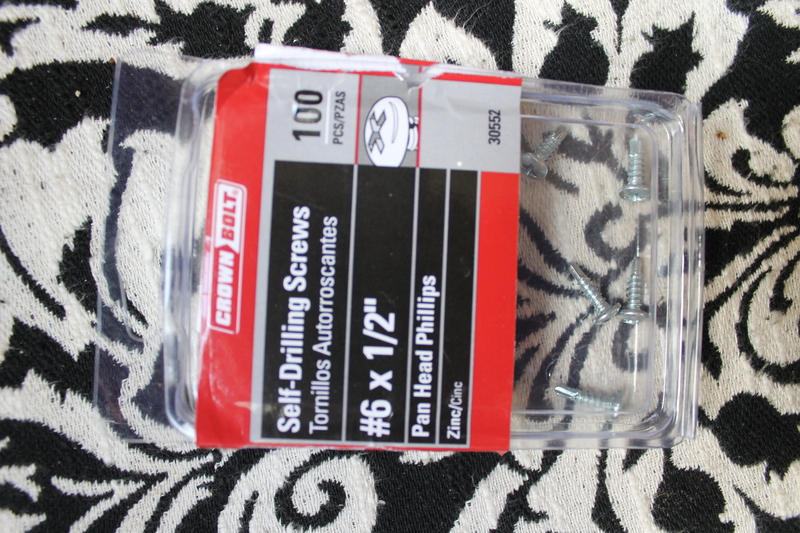 And my helpful hint for the day – self drilling skills. They have these little teeth at the bottom that help the screw go into the wood. I know I sometimes have a hard time holding the drill and putting enough pressure behind it to get the screw in. These screws make it so much easier!